Click here for descriptions of each of our classes. PLEASE NOTE THAT CLASSES FILL UP QUICKLY, AND ONLY THOSE WHO HAVE PAID (Online or via mailed in cheque) WILL BE GARANTEED A SPOT! Class fees are non refundable. Note: the form below will be easier to use if you log in first. If you register for more than one class (no matter which classes they are) in a single purchase order, the price is discounted as follows. The General Agreement (aka "Participation Waiver and Release") can be viewed at the bottom of any of our Premium documents, such as this one. 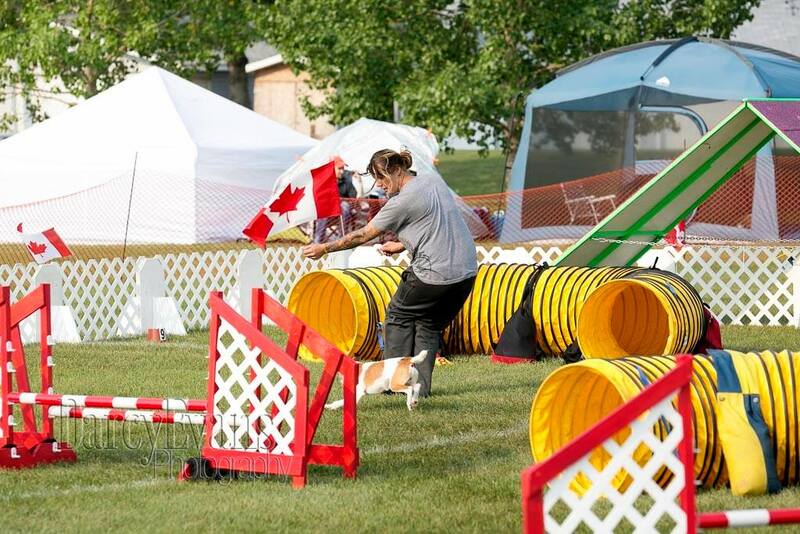 Here are the results from our CKC Agility Trial of March 30-31, 2019. A report of all qualifying dogs is followed by the fully detailed report.